No Ravel thread? :o Well, thanks, donwyn, for correcting such a massive omission. I am a huge Ravel fan, as well, ever since at a very early age I heard Rapsodie espagnole by the Dallas Symphony Orchestra--loved it immediately and never looked back. Too many favorites to list, but I am probably one of the few who still like hearing Boléro played by a great orchestra (e.g., Cleveland did it a few years ago), as a textbook example of brilliant orchestration. And just in the last couple of years I have discovered L'enfant et les sortilèges--what a score that is. He can't have done. You know full well - on the highest authority, in fact - that Karl and I only think there have ever been two musical genii, namely us. Now THAT has almost brought me to tears! Personally, you know that I've always thought Ravel got this wrong. In december the NOB ( Belgian National orchestra) will do Daphnis et Chloé -complete ( with chorus & windmachine...) - coupled with Stravinsky's concerto for piano & winds and Lekeu's adagio for strings. Good! Jan Michiels is soloist, Stefan Blunier conductor. This is a good set with Martinon/Orchestra de Paris, from 1974. There's also a 3 CD EMI set that includes the complete Daphnis et Chloé along with everything on this one. This was originally a Vox box, now it's a 24/96 DAD from Classic Records, and it's my favorite Ravel recording. That will be a concert perfomance, I understand? I'd really love to see it live! Does anyone know if there's a DVD recording? I have some of Skrowaczewski's Ravel, but not all of it. I think I will have to change that. I will admit, though, the performances themselves give ground when matched with, say, Maazel or Ansermet. The Maazel might be a more cost-effective way to pick up these wonderful works vs. the more expensive (and top-notch) Ansermet and are in the front ranks as far as interpretation. Also they are really well recorded which might make a difference to some. Sorry to be all po-faced! ;D But those covers are really a million miles away from the tenderness of both these works, and at the same time suggest that both pieces are really just parodistic, manic extravaganzas. When Wagner operas undergo the cartoon treatment, we know it's a parody, the bombast and hubris of Wagner reduced by a carrot-munching bunny - Wagner remains unaffected. But when Ravel's quirky and bizarre operas, free of both bombast and hubris, undergo it the implication is that their quirkiness and bizarreness put them somehow on a similar aesthetic plane to the cartoons. There would be no problem with operas which were on this plane - it's not an inferior one - but the Ravel operas are most emphatically not there. In its own way, the end of L'enfant is as profound and moving as the end of the Ring or Tristan (much more so, to my ears, I must say). Anyway, Luke, any of us might as easily have confused Le style Chuck Jones for Disney . . . L'enfant there looks like either the Aristocats or Lady & the Tramp, and tge duetting grandfather clocks for L'heure could be from the Disney feature Cinderella . . . . But when Ravel's quirky and bizarre operas, free of both bombast and hubris, undergo it the implication is that their quirkiness and bizarreness put them somehow on a similar aesthetic plane to the cartoons. Interestingly enough, it appears that to André Previn it's the cartoons which rise to level of the operas! "I've had the privilege of watching [Chuck Jones] sketch and draw, and it has given me the same sort of pleasure that I get from listening to the most illustrious virtuosos in the field of music." Quite a statement! So I assume it was Previn's idea for the cover art. All of the works on the disc are unknown to me apart from Debussy's violin sonata and the sonate en trio. I think it's pretty good; that is the recording of the Sonata for Vn & Vc and the Piano Trio that I have loaded onto my Sansa Fuze . . . . Yes, some duplication in Ravel can't be bad! Indeed! And in fact, on the advice read above I've just ordered myself Maazel's Enfant, even though I'm perfectly happy with Ansermet. Looking at the details, I think half of the Nash disc is made up of the same recordings as on the disc I already have. I adore the chamber-accompanied songs, but I have several sets already, so I'll pass on this for now whilst remaining interested! I just turned on the TV and heard something awesome! They showed a ballet of tons of people ballroom dancing....... now, as much as I despise dancing, this was actually cool dancing to cool music. I mean, if it were played at a high school prom (in my dreams lol) I would've actually went and danced with someone! It's that good. I believe you can hear Thévet's glimmering horn vibrato also on Cluytens' Ravel recordings with l'Orchestre de la Société des Concerts du Conservatoire on French EMI (Rouge et Noir) but they sure don't make them like that anymore. .......but they sure don't make them like that anymore. Transfer is by Mr.Reysen, posted on rmcr. Those interested in more of Piero Coppola's recordings from this period, including La Mer and Le Tombeau de Couperin, can download them from here (http://groups.google.com/group/rec.music.classical.recordings/browse_thread/thread/5b65e7327113c804/bc2a1eb777af8c16?lnk=gst&q=coppola#bc2a1eb777af8c16). Thanks, Drasko. If I remember, I'm going to check these out when I get home. That piece strikes me as unique and I enjoy it quite a bit. Probably you were looking at the Balanchine ballet. (I find the Chopin sonata on this last disc to be quite unusual, don't yet know if I hate it or love it). Drasko's comments are never designed to arouse interest (like mine ;D), but to inform and point to subtle artistic qualities. Which is why I appreciate the time he takes to direct our attention to some specific recordings. IOW, when he says Freitas Branco's Ravel is special, you better believe it. This is one of the most individual and downright unique orchestral recordings of anything I know. Nobody who thinks he/she *knows* Alborada del gracioso, Pavane or Bolero will ever think the same after hearing those recordings. BRO has that EMI Rarissimes 2-disc set available for cheap right now. For the money you get some rather unique Falla and Turina too. The point I was possibly trying to make is that playing styles whose loss we sometimes lament (Russian, French, Czech) never were set in stone in the first place, and kept evolving and changing through generations of musicians. I believe we can hear that in those two recordings of Ravel's Pavane I posted. Unfortunate thing is that these days those styles seem to evolve into far too much uniformity across the globe. As for Freitas Branco disc, yes I agree, the Ravel selection is essential, including above posted Pavane (my personal favorite) and that near mythical rendering of 18 and a half minute, rock steady tempo Bolero with more than piquant contributions from various soloists, Only thing keeping it from being true benchmark is somewhat limited dynamic range due to mono recording. Turina selection sounds great to me, but I have nothing to compare it with, Falla's El Amor Brujo is a good one as well, though competition there is pretty fierce. Definitely recommendable disc. I guess orchestral playing undergoes evolution like many other living entities. Influential players/teachers are the driving force behind those evolutionary stages, and these stages take the form of a time 'plateau' during which an ensemble's sound acquires a distinct personality. In some rare cases orchestra members (like the WP) see themselves as guardians of the tradition and make sure there is no evolution. In the case of the french orchestras, this personality is most apparent in the wind and brass playing. The Bolero features extended solos for them and they have a field day displaying those 'french' characteristics. Sorry for sidetracking the discussion here, but I just wanted to express my admiration for Ravel's solo piano work. I've only recently started listening some pieces, but Le Tombeau de Couperin and the piano version of Pavane Pour une Infante Defunte have been especially captivating. I've been hoping to delve into Mirroirs and Gaspard de la nuit, and if they're anything as engrossing as the two works I have heard so far, then I'm in for a real treat! Jeux d'eau has always been a favourite. Great, thanks for the reccomendation! I think I have a recording of that piece; I think I'll check it out now. Besides Debussy, is there any other composer with a similar style? I know that the two of them are often grouped together as 'impressionists', but I'd be curious to hear more from a lesser known composer. Perhaps someone influenced by Ravel? 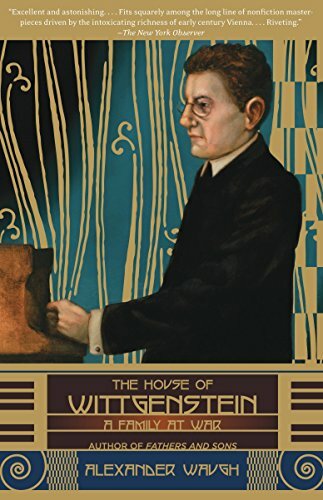 A question that seems to be asked a lot, but is never satisfactorily answered :( The nearest I can think of is Gershwin, on the piano side of things. Delius is often lumped into this group by people, but I find his work far more romantic and less crystallised than either Debussy or Ravel. Messiaen's early music has influences from these two composers. Aspects of Ravel and Debussy can indeed be found in Gershwin and Delius. Chamber music is more elusive than orchestra or piano, but listen to their string quartets Debussy and Ravel, that is!). There are also many stylistic kinships with other early 20th Century compositions. Vaughan-Williams studied with Ravel (who was his junior by 3 years :o). I don't think anybody studied with Debussy, but many composers were influenced by him. I think it's better to become thoroughly acquainted with these two before branching out here and there. The journey will be even more rewarding. I know that Debussy is viewed as the more important and influential of the two composers, but I find Ravel more rewarding and far-reaching. Frank Bridge's early music has something of Debussy about it (shades of late Scriabin in his music after WWI). 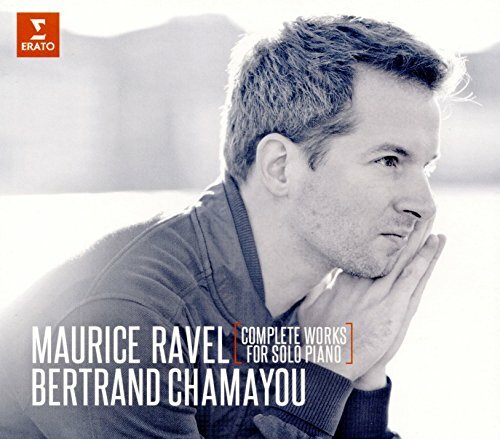 I haven't heard much from Ravel (but I DEFINITELY will), but he holds a special place in my heart because every piece of his that I've heard I dislike at first, but I love it when I hear it for the second or third time. The first time I heard La Valse was in an arrangement for two pianos played by Martha Argerich (whose playing I really like) and Nelson Freire. I didn't like it, to me it sounded like a bunch of noise. Then I downloaded a CD (mainly because it had the Boléro in it), listened to the orchestral version of it and loved it! I checked out the Piano Concerto for the Left Hand merely out of curiosity, in a youtube video (which has sadly been taken down since), played by Leon Fleisher. Again, it seemed to me like a bunch of noise. Some weeks later, I heard it again (in the same video), and strangely this time I liked it! Now I love it! I then checked out the Piano Concerto in G. I really didn't like it the first time I heard it. The jazzy tunes just weren't working for me. I stayed away from it for a good while. Some weeks later I carefully listened to it again and it has actually grown on me a lot and it's my current favorite piece. Lethe, I'm not too familiar with Delius, but as far as Gershwin goes, I do see a certain resemblence between Ravel and he, but Ravel just seems to have that distinctive French... je ne sais quoi upper-hand :D But I am definately a fan of Gersh's symphonic works. Corey, Haven't heard anything by Frank Bridge before, I'll have to keep his name in mind, thanks. Tanuki, I'm afraid I can't relate to your second or third hearing approach, but I'm glad that little Basque has burrowed a way into your brain! I can't help but love pretty much everything Ravel has written, especially the piano concerti; those jazz undercurrents are utterly infectious. Another composer who it seems to me - on brief acquaintance - has a similarly poignant style is John Ireland. Certainly I love the songs recorded by Roderick Williams on Naxos, and there's also a series of his piano music available on the same label. One of my favourite Ravel works is La Valse. One of the most sophisticated musical pastiches. I've heard it in many, many versions, and t seem sto me the work keeps reinventing itself. No version is like another, and I keep raising an eyebrow at this or that detail. Latest I heard is Pierre Monteux with the LSO (last available on a Philips disc). Monteux is usually a very straightforward, no-nonsense conductor. But, man ! Here he transforms the harps into whores :o. Maybe it's been done before, in which case it's a tribute to the work's freshness, or else he's on to something. The contemporaneous Ma Mère l'Oye is excellent. It epitomizes what Monteux is most famous for: transparence of textures, lucidity of expression and a firm but never rigid grip on rythm, with no dawdling. A Monteux performance moves and flashes. Other La Valse favourites include Martinon, Boulez (NYPO), and Dutoit (Decca). The Piano Concerto for left Hand is the bomb. I adore it. It may be too dark and brooding for some. I have (I forget the artist) an arrangement of Mother Goose for two pianos and percussion that is exquisite. Definitely a classic. Mirroirs for Piano is one of the greatest collections of piano works I've every heard-- it belongs on the same shelf as Debussy's Preludes. Although the full length Daphnis et Chloe gets a bit long for me in the middle, the first ten minutes is astonishing, and the ending, or course is a classic. And Ravel's String Quartet sounds more like Debussy than Debussy's String quartet! go figure. 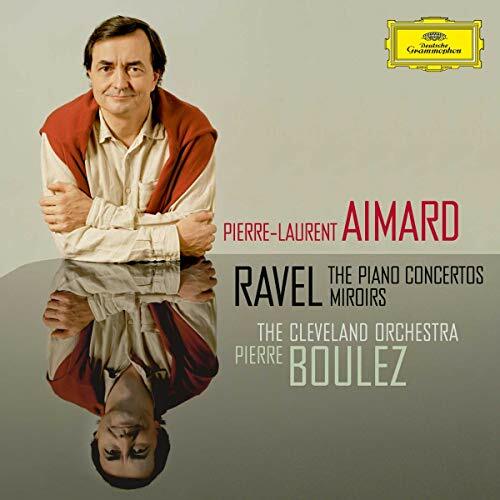 Wonderful piece; Pierre-Laurent Aimard just played it in Boston this past weekend. Samson Francois in the concertos is not perfect but he's something you must hear; the concertos themselves are absolutely unmissable pieces. The G major has that utterly sublime slow movement that melts the stoniest heart, but the left hand concerto is, all round, maybe the most sweepingly powerful score, a demonic and sarcastic score starting in the deepest depths of the orchestra, moving through moments of heartbreaking tenderness, towards hallucinatory jazzy central portion, and an astonishing breakdown/cadenza/coda to conclude.
. . . I absolutely adore Sibelius, but for every hard-won moment of granitic splendour or every surgingly overwhelming point of formal balance (oh, the 1st-2nd movement transition in the 5th symphony is running throuhg my head now!!!) that I derive from him and his large canvasses Ravel with his intricately detailed scores gives me countless moments of delight, bar after bar after bar of them. The hidden depths of his music move me deeply, he makes me gasp in astonishment, and makes me think. Technically speaking Ravel had one of the most complete equipments of any composer - as an orchestrator, as everyone says, but as a deeply individual harmonist and as a moulder of large forms too, for instance - and as a result he was able to compose like a wizard, repeatedly making sounds that no one else could make. One could say the same of Strauss...but, for me, Strauss's magic too often fails to work, he lacks Ravel's lightness and deftness and his humility too, I think - the humility that makes an airily-scored delicate work like Ma mere l'oye possible. All just IMO, just the way I hear things, and really to underscore that Ravel ranks so very, very high for me, not to denigrate the other two, who I love deeply also. Well, and dadgummit, here's the Ravel Recordings (http://www.good-music-guide.com/community/index.php/topic,17465.0.html) thread. So I finally got around to listening to some Ravel as mentioned in the listening thread, and I tried to take some of the positive comments about him into account. Here's the disc (listening to disc 2). La Valse - This is a great piece - wonderful music. No arguments here! It's better than I remembered it being. Pavane pour une infante defunte - I was happy to see this end. It's inoffensive, but I'll be hitting 'skip' next time I hear this disc. I'll compare to the piano - perhaps that will work better for this piece. Le tombeau de Couperin - A mixed bag. Prelude is super outstanding (perhaps a bit fast here). I've heard this elsewhere, and so I know it can work both ways. Forlane - how can the brilliance of the Prelude be followed by such lousy music. It doesn't seem to go anywhere either (and it goes on for so long). All the enthusiasm generated by the Prelude just went out the window. Perhaps I am missing something, but the second part rubs me the wrong the way. Menuet was a welcome relief. It doesn't seem to do much, but at least it produces a beautiful sound. Rigaudon was ok.
Valses nobles et sentimentales This is split intro four tracks, meaning each contains 2 items. Modere - nice. Assez lent - overly dissonant to start, seems like a few effects, but then lovely, haunting melody emerges. Goes better from there. Next four sounded like a continuation of the second item (of 8), which I guess is good, but no strong reaction. More excitement in 7 (moins vif) and some beautiful fading solitude in 8 (last 30-60 seconds was pretty wonderful). This piece didn't irritate me, but I don't find myself interested to hear it often. There doesn't appear to be anything lurking under the surface, though it has some beautiful moments here and there. Menuet antique - short piece. Nice one. Fanfare for collaborative ballet L'eventail de Jeanne - Pretty awful. Blessedly short. Daphnis et Chloe, Suite No. 2 - I was rather looking forward to this one having never gotten this far in the disc (in fact, I don't think I'd ever heard the fanfare either). And wow, what a gorgeous opening to the Lever du jour. It makes your heart jump. Oh and some heavenly sound here. I am uplifted - oh! And voices too. Very moving indeed. Stunning music this and a hotline to your innermost being. And then a move to the Pantomime. And a minute in, the 'who-eee' sound! Some lovely flute playing here - simple, but effective. And then on to the Danse generale we go. Started picking things up here (actually starts at the end of Pantomime). The Danse is pretty good as well. This is a piece I will come back to and now I need to look for a recording with the whole thing! I gather that this, the second suite, is the 'third part' of the complete piece? So as I said, overall mixed. I liked La valse and I will look for a complete Daphnis and Chloe. But I will probably skip the rest for a while. I think i dislike this one effect in Ravel, when he does this 'who-eee' sound (like in Der Freischutz after they say Sameal's name - that is what it reminds me of). It sounds good every now and then, but it sounds like a gimmick listening to several pieces in a row - it gets repetitive. I found myself suffering fatgue from his music as the disc went on as well - a certain sameness of sound. That is, if I had listened to each piece separately, I wouldn't have noticed it. But because I listened to them all back to back (which I have never done before actually), they almost seemed to meld together. I can't think of any other composer that generates this reaction, so I suppose it could be seen as both a positice or negative. Listened to La Valse today, Anermet's recording with the Suisse Romande. I have it in a big "Ansermet edition." I'm not sure if it is currently in print. (It's a stereo version, there is probably a mono version out there too.) I had listened to La Valse a little while ago, Dutoit's recording and the difference is stunning. The difference is most evident in the dramatic conclusion, where Ravel plays with tempo changes, rhythmic syncopation and dynamics to whip the valse theme to a dramatic conclusion. Perhaps some of the most brilliant music of the 20th century. Dutoit's recording is an impressive display of orchestral virtuosity. The dynamics (particularly those crescendos in the last few bars before the strings interrupt in unison) are executed to the hilt, with very wide dynamic range, and the rhythm has a lot of snap. In Ansermet's recording the dynamic contrasts are not nearly as wide, there is more flexibility in the rhythm. To sum up, Dutoit shows off his orchestras technical ability to a greater extent but Ansermet shows off Ravel's music to a much greater extent. So much of the musical detail that is lost behind those huge dynamic explosions in Dutiot's recording bloom in Ansermet's. When I listened to Dutiot last week I was very pleased, but no I see how much I was missing. Wow! Nice comparative review. I have both recordings but haven't listened to either in quite some time. I'll give them a spin soon. Thanks. I'll be curious to hear your impressions. Our fellow GMG member Brian has reminded me today of Ravel's sensational opera L'Enfant et les sortileges. What a work this is! I would be curious what others think about this opera? If my member serves me correctly, I remember listening to it once and being completely taken by it and it's quite unusual for me to like an opera, but this one just works for me. I remember reading these posts, Luke. I completely forgot about that Ravel vs thread. Good to know you enjoy this opera and that you've explored Ravel's output to find the hidden gems. L'Enfant et les sortileges may end being my favorite Ravel work too. :D I just need to spend more time with it and hopefully these two recordings I bought will reveal some hidden details that I didn't quite pick up on in the Dutoit that I own. One of Lorin Maazel's strengths is L'enfant (his recording is widely admired), and I was lucky to hear him do the piece twice during his time with the New York Philharmonic. Here (http://www.musicweb-international.com/SandH/2006/Jul-Dec06/maazel0610.htm) is my review of the first one, in 2006. It is a terrific score, with Ravel's great color instincts shown at their best. I hope to see it fully staged at some point. Yes, Bruce, Maazel's performance is on my wish list. It's too bad the recording I want is out-of-print. Maybe I can track one down in the used market. Have been listening to this one tonight, got it off iTunes the other day ... good stuff. I've been considering this recording. How is Aimard's piano playing on this recording? I've read mixed feelings regarding the performances. Aimard is an amazing player .. and the performances are very good. Yes, Aimard is a great player. Thanks for the comments. FWIW-- I went on a binge last week where, for at least 3 days, all I could listen to was the Piano Concerto for Left Hand. In some cases, I tend not to like concerti as much because it seems the focus is on giving the soloist a workout rather than making a musical statement. (Yes there are many exceptions, thank God). But was I love about the Concerto for Left Hand is that I keep forgetting it's a concerto, which means to me that it's done its job. Many of these pictures I've seen, but there are a few rarities in there that surprised me. 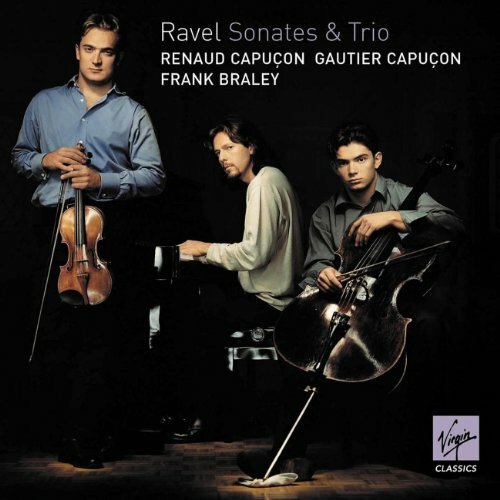 I've been on a Piano Trio binge lately, and, of the Classic Repertoire, especially the farther you get from Mozart and Schubert, I am finding that I like Ravel's very much more then, say, Faure's, or even Brahms. The very first notes speak of something familiar to the 20th Century: tonal, yet not in the received style, more popular sounding,... cool. All I have is the VoxBox. I can't possible ask for recommends, seeing that there must be many many good recordings. I was thinking of the soundtrack to 'A Heart in Winter', with the Duo and Violin Sonata. Then there's the Florestan and Fontenay in competing Deb/Rav/Faur sets. The best versions of Ravel's Piano Trio that I've heard are with the Nash Ensemble (Virgin Classics) and Florestan Trio (Hyperion). I don't really see how these performances could be bettered. His music, neither totally impressionist nor modernist, is very innovative and original, absolutely lyrical and poetical; it's incredibly rich of beauty and power, with a huge orchestral brilliance, very expressive, but it's at the same time full of great harmonies and intricate modulations, often showing an amazing virtuosity, very refined and technically perfect. Daphnis et Chloè is my favourite Ravel's composition, absolutely impressive and thrilling, but I also love other orchestral works of him, like Le Tombeau de Couperin, Valse nobles et sentimentales, La Valse (but these are just few), and of course Ravel's piano music (like Gaspard de la nuit). 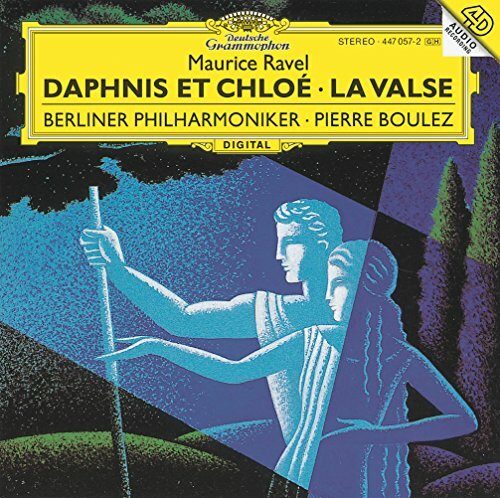 Daphnis et Chloè is my favourite Ravel's composition, absolutely impressive and thrilling, but I also love other orchestral works of him, like Le Tombeau de Couperin, Gaspard de la nuit, La Valse (but these are just few), and of course Ravel's piano music. Agreed on all points. I own 26 recordings of the complete ballet of Daphnis et Chloe. I haven't heard all of them, but this is a work that continues through each passing year impress each time I hear it. Brilliant orchestration, melodies, harmonies, and rhythms. It's work that is in my top 10 favorite works of all-time. 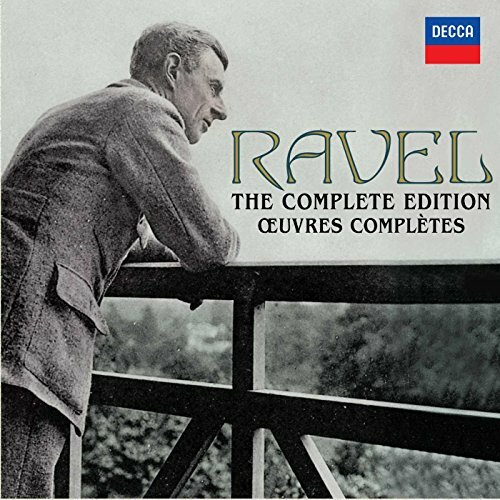 Other Ravel works I love: both piano concerti, Sheherazade, Piano Trio, L'enfant et les sortileges, Ma Mère l'oye, Valses nobles et sentimentales, among others. Daphnis et Chloecan be certainly one of my favourite pieces of all time as well. :) I also adore the other works you mentioned. Wow, 26 recordings!? What is the best one you've ever heard so far? The Boulez version, with BPO, is absolutely a masterpiece: perfect tempo, great harmony, excellent phrasing, beauty and power; I think another amazing performance is the Abbado, wonderful. Listened to the PC (Thibaudet(sic)),... finding it very urbane, very much a 'night on the town' with lots of glittering lights; but I also heard the rows of fields of the countryside. I especially like the slow movement, which has an almost detached view of beauty, never getting too emotional, but still giving a sublime picture of controlled passion. Two PCs that 'feel' the same...um, two I like a little better, because I find them a little more melodic, are Poulenc's, and Martinu's Sinfonietta Giocosa. They seem a little more Mozartean to me, more to be pleased by. And I can't think of a more lyrical & beguiling String Quartet than the one Ravel wrote! That is certainly one of my favourites in the whole quartet literature. Other favourites from Ravel: the piano trio, violin sonata, and the piano music. Given that the Adagio of the Concerto in G was directy modelled on a Mozart Adagio, I'd award this crown (as many others!) to Ravel. I listened to many parts of Dutoit's version on youtube, I agree it's very impressive.....so harminc, so haunting! I've never heard the Martinon, but I suppose it must be very good as well, Martinon is an excellent interpreter of French music. Boulez recorded Daphnis et Chloe with the Berliner Philharmoniker once, what orchestra was the other one? Martinon's performance is certainly top-drawer. The earlier Boulez recording of Daphnis was with the NY Philharmonic. After an initial hearing, I´m slightly disappointed by this. Am going to listen more to Abbey Simon / Ravel Piano Works , though. Had thought that it would probably replace one of my other sets, Helffer´s, but it is true what a lonely reviewer wrote on amazon: it´s like Simon has the pedal down in most of the pieces, resulting in long series of nice, pearl-like sequences of notes, but a lot of nuances and not at least the darker or more dramatic aspects of the works are often lost. So far I like Helffer much better, for instance in the lovely "Miroirs", which illustrate the point clearly. In "Gaspard de la Nuit", Simon has some interesting things to say, such as the long, elegiac central movement, but overall I´m not that impressed with it either. Anybody's familiar with this recording of the piano trio? It's been talked about more than a few times on this board. It's a fine recording. Buy with confidence! So I've been listening to Ozawa's Ravel series on DG with the BSO and I'm very impressed. These must be quite underrated performances as nobody hardly mentions them. They may end up being some of my favorites. The playing is just outstanding and Ozawa brings out so many textures that so often seem to get lost. In closing, a series I will return to again. Listened to the whole cd two days ago, the recordings included are absolutely brilliant, I enjoyed them very much! ;D L'enfant et les sortilèges is a masterpiece of orchestration, very suggestive, magical and powerful, which completely shows Ravel's great skill of making the most of all the musical possibilities of the instruments. Rattle and the Berliner Philharmoniker beautifully interpreted the work, their performance is amazing; the singers made an excellent job too, such fine voices. Ma Mère l'Oye is even better to admire the wonderful sound of the Berliner; the orchestral playing is so expressive, atmospheric in that piece, absolutely delightful. Again, an awesome interpretation. Have to disagree - alongside three or four others, Ravel is my favourite composer, pretty much; every note he wrote means an enormous amount to me, and of all those notes, the ones making up L'enfant go to form what is IMO probably his greatest work. Its wit, charm, humanity, its classically Ravelian implications of vast depths of feeling beneath the brittle, superly pastiching surfaces, all this unfailingly brings tears to my eyes - and no other piece does that to me, none at all. All of which means nothing in itself, obviously - that's just me. But I think if a person such as me, who has many recordings of this piece, finds that all of them have this devestatng effect on me except Rattle's, then maybe that does indicate something. Rattle seems too safe and too charmless, and lacking in magic and innocence' he leaves me unmoved and indeed slightly put-off in this piece, which he ought to have been made for. But yes, just IMO of course. this unfailingly brings tears to my eyes - and no other piece does that to me, none at all. I have the Naxos L'enfant; is there one reading especially that you'd save from a burning building, so to speak? Whereas with the Ravel, it's almost enough just to think about it. No problem, I understand. I didn't have that impression listening to Rattle's performance, which on the contrary I found enchanting, magical and evocative. But of course, I'm not as familiar with L'enfant as you can be, I've got just two recordings of that Ravel's work so far. Have to disagree - alongside three or four others, Ravel is my favourite composer, pretty much; every note he wrote means an enormous amount to me, and of all those notes, the ones making up L'enfant go to form what is IMO probably his greatest work. That's quite a statement! I also love L'enfant, owning four recordings of the work including the Ansermet. But I can't say as I've felt as moved by the work as, say, some of the greatest of the keyboard works, the string quartet, the PC's....or even Kaddisch! I enjoyed it very very much, Bavouzet's interpretations are absolutely outstanding; such a wonderful, impressive techinique he has, very elegant and with a splendid touch! The performances of Jeux d'eau, Sonatine and Miroirs are the best I've heard so far, absolutely beautiful and brilliant; about Gaspard de la nuit instead, although the Bavouzet is great, I continue to prefer the Ashkenazy. Chung is turning into quite the Ravel interpreter. I loved his Daphnis et Chloe recording and his performance of Ma Mere L'Oye. Do you have it, or do you mean that it's promising? Certainly makes me drool, Muraro is one heck of a pianist, and Chung is no slouch, either. I view La valse as a sort of fever-dream, a sweaty hallucinated world where all the colors are a little too bright and the images are a little too in-focus and the dance is spinning a little too quickly. Well and the ending is a thrill. It's possible to dislike anything if a person doesn't show any emotional/intellectual connection. La Valse isn't a 'terrible' work, but it has never been a favorite and least likely to be in the future as there's nothing about it to me that is redeeming or even memorable. The orchestration, as always with Ravel, is superb, but like R. Strauss' music, this isn't enough for me to keep listening. There always has to be something more. Ravel is one of my favorite composers but there's still some of his orchestral music that leaves me cold and La Valse falls into that category. A most evocative description, Brian, nicely done! La valse is unquestionable first-rate, and likely Ravel's finest purely orchestral score. While some discover an attempt at parody, indeed caricature, others categorically see a tragic allusion in it - the end of the Second Empire, the situation in Vienna after the war, etc.... This dance may seem tragic, like any other emotion... pushed to the extreme. But one should only see in it what the music expresses: an ascending progression of sonority, to which the stage comes along to add light and movement. In either light, a magnificent piece! Totally agree about La valse - one of his greatest. And like Brian's "fever-dream" comment. I'm thinking about my first encounter with it, decades ago, with the Dallas Symphony and Donald Johanos conducting. I'd never heard anything like it. The more I explore this set the more I love it. I have got that set too, I agree it's beautiful! "Lindberg’s [piano concerto] follows the same kind of progress as the Ravel [concerto for the left hand] - from an opening in Stygian depths of darkness to an affirmative conclusion." Does anyone think of the left-hand concerto as having an "affirmative conclusion"?
. . . quite abbreviated, of course. That said, a spirited and inventive arrangement. Deneve, who proved himself to be a conductor of the highest caliber in his Roussel series for Naxos, should be right at home in Ravel, I would think! I saw his 'La valse' live with the LPO. Even by the usual very high standards for live 'La valse' performances (it's hard to kill and almost always a ton of fun), his might be the best I've been in the hall for. This should definitely eclipse the ongoing Ravel series by [from most interesting to least] Krivine (Zig Zag), Slatkin (Naxos), and Rizzi (Tacet). I wish he would finish his Roussel series! I mean I know he doesn't record for Naxos now, but there are still many stones he left unturned in Roussel's oeuvre. One work that is in dire need of a modern recording is the sublime Evocations. I can't say I'm completely onboard with this new Ravel series as I already have too many favorites in this repertoire already. I feel you, John. Dutoit and Martinon have yet to be surpassed in Ravel. Deneve doesn't record for Naxos anymore? ??? That's a real shame. :( Roussel isn't the only composer who needs Deneve's attention. He would do very well in Koechlin, I would think, as well as in other lesser-known French impressionists such as Jean Cras. My understanding is that since he took the Stuttgart RSO position they do all their recording with Hanssler. Yes! Deneve needs to record some Koechlin! ASAP!!!! But seriously, Roussel's Evocations NEEDS a modern performance now!!! This is an incredible piece of music. I'd like to hear Deneve conduct some F. Martin, Milhaud, Ibert, and Schmitt as well. I feel you, John. Dutoit and Martinon have yet to be surpassed in Ravel. Probably plenty more I haven't heard (Munch is popular, too). Sadly you're right. My impression was that the problem was less with Slatkin, actually, than with the acoustic (rather dull) and the orchestra, which no longer sounds especially French or distinctive. He could achieve similar results with any other C-list ensemble; contrast with the Luxembourg PO, which in Krivine's ongoing series (and a lot of Timpani CDs) really preserves the Martinon-style "French" orchestral sound. I will be an eager listener for the Gaspard, nonetheless. Not an orchestration I can remember hearing. I have no warm feelings toward the arrangement. Boulez. (Edit: I see Brian beat me to the punch.) Celibidache (his Ravel and Debussy are awesome). So, I'm doing this thing that I do, listening to a composer's work (or the portions of it that I have) in a chronological fashion... and I'm doing it with Ravel. And I realise now that there's a big chunk of time where the works he was doing for the Prix de Rome are a major part of his output, in terms of quantity. What I'm curious about is... what are they like in terms of quality? Are they any good? I know the judges often didn't think so but I've also seen suggestions that at least some of them weren't really Ravel's best work anyway. There are 3 cantatas - Myrrha, Alcyone and Alyssa - and also 5 choral works he did for the first round in each of his 5 attempts. I know the latter have been recorded on Naxos at least, and I also know there's at least one recording of the cantatas by Michel Plasson. I'm interested in anyone's thoughts on the works, and if there are alternative recordings then recommendations for recordings too. orfeo, inspired by your post, I found an old Marco Polo disc with the five short (3-5 minutes each) choral works he wrote for the Prix de Rome (the non-cantatas). They're all drop-dead gorgeous: not innovative, maybe, but warm and welcoming and richly scored. Comfortable. Don't expect mature concerto-writing Ravel, but don't expect third-rate student work by any means. The definition of "guilty pleasure that shouldn't be a guilty pleasure." The performances are fine, but I have a hankering to hear a newer recording in better sound. Any info on either CD, Brian? I listened to Miroirs today. My spreadsheet tells me it's exactly 4 years since the last time I listened to it in full. That's far too long for a work I consider a landmark in the piano literature. Pascal Roge is the pianist, by the way. The Marco Polo CD with the short choral works is called "Cantatas for the Prix de Rome" and also has a big piece by Caplet and a small one by Debussy. Here it is! I'm not sure if there are any alternative recordings. They aren't in the Ravel Complete Edition box set. Amazon has CD-R and MP3, or get the original CD by ordering from Marketplace. It's not at Berkshire, sadly. 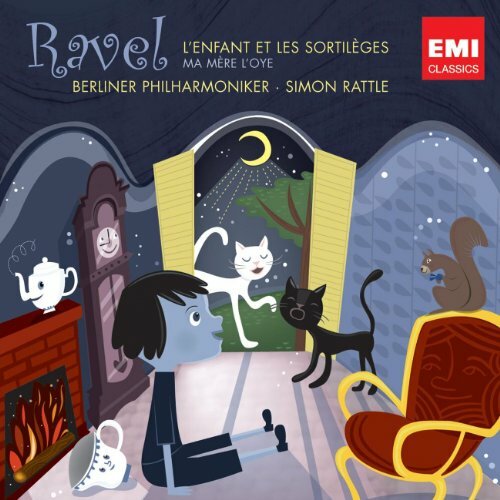 "Ravel", by Jean Echenoz, a beautiful evocation. Not a biography nor an essay. I own the whole of Ravel´s output in different single cds, some of them in different versions. Of late, I´m considering to get hold of a complete edition box or, if better quality, option, one for chamber music and one for orchestra for instance. Any ideas? Thanks. Surprising. I thought there would be a larger range around to choose from. Have you heard Muraro´s recording of the piano concertos? I haven´t. I´d be thankful to read any comments. I think my favorite piece by Ravel is Bolero. As for my favorites from Ravel, I'd say pretty much ALL of his work! Especially "Miroirs", "Le Tombeau de Couperin", "String Quartet", "Daphnis and Chloe", and "LA VALSE"! I also love the G major piano concerto, although I find the slow movement to be a bit dull (twice as long as it needs to be, I think). I don't think it's his best slow music. P.S. What is Ravel doing all the way on page 7?! I have the Martinon, Dutoit, and Plasson, as well as what comes in mega boxes. They just looked like the best fit for Ravel. Dutoit gets the edge I think over Martinon. No love for L'enfant et les sortileges, Ma mere l'oye, Piano Trio, the song cycle Sheherazade, or Piano Concerto for the left-hand? BTW, I LOVE the slow movement to Piano Concerto in G. Such crystalline beauty with aching piano cascades that feel like little drops of ice cold water. I just ordered 3 used cd's of Haitink conducting Ravel with the BSO. I think Martinon and Dutoit are two fine Ravelians. I do not like Dutoit's too swift tempi used in Le tombeau du Couperin, though. So he gets a negative mark here. I still think Dutoit's Daphnis et Chloe is the best committed to disc. I also think favorably of the Roge PC performances. I think Ozawa is a highly underrated Ravelian. I've been revisiting his BSO performances on DG and they're quite good. +1 to both. L'enfant, Ma mere, Piano Trio, Violin Sonata, Sonata for Violin & Cello, Miroirs, Gaspard, the PCs, La Valse, Schéhérazade, Le Tombeau de Couperin, and the songs - Mallarmé songs, Chansons madécasses, Histoires naturelles, Cinq Mélodies populaires grecques, Deux melodies hébraïques, Vocalise-etude (en forme de Habanera), Chants populaires - deserve more attention! I am ashamed to admit that I've never heard the left hand concerto :-[ . I'm fixing that now as I write this. It sounds more "Ravel" than the G major; much darker. Really wonderfully orchestrated, but I'm not surprised in the least considering who we're dealing with, here. What is wrong with me (other than not having heard the left hand concerto, I mean)?! How could I forget "Ma Mere L'Oye"? That was my first piece of Ravel's that I really connected to. I played it in my university's orchestra. Our conductor chose to play the "Introduction" and "Danse du Rouet" from the ballet along with the original five. The "Danse du Rouet" was so much fun to play and it was probably one of the few times I was jealous of the 2nd violin section (I was in the 1st violin section) because they got to play this section with glissandos all over the place. It always made me smile. I've listened to the "Piano Trio" and I enjoyed it, but often I don't listen to much chamber music or solo piano music. I almost always enjoy large orchestras best; just a personal preference of mine. I also don't usually like song cycles or singing/opera much, either, hence why I didn't mention "Scheherazade" or "L'enfant et les Sortileges"
I think "La Valse" is one of the most terrifying pieces composed, even compared to Le sacre and mandarin. The latter two are definitely horrifying, but they start out in a dark place so you know what you're in for. "La Valse", on the other hand, retains a certain elegance until that buildup before the huge gong crash at around 1.5-2 minutes from the end. The sections before this are shadowy, but still relatively graceful. After the gong, the strings have wailing glissandos, the brass section has menacing chromatic scales, and there's even a section where Ravel "pulls the carpet from your feet" so to speak by removing the first beat of the 3/4 bar. I'm reading Nichols' biography of Ravel at the moment. While it does have its irritating qualities (why do writers in English like to show off their French and then not translate?!? ), one thing it's done is make me reevaluate my usual dislike of orchestrations of piano pieces - especially piano pieces as brilliant as Ravel's. So many discs of 'orchestral' Ravel are in fact filled with works conceived for piano, so it's been a bit of an issue for me. I'm reading Nichols' biography of Ravel at the moment. ...one thing it's done is make me reevaluate my usual dislike of orchestrations of piano pieces - especially piano pieces as brilliant as Ravel's. I haven't had any trouble with either versions of the music he arranged for orchestra, Ravel clearly knew what he was doing, unlike the person who orchestrated Gaspard de la nuit. If it would work, surely Ravel would have done it himself. The different versions show different facets of the music and I wouldn't want to choose in the case of any of the pieces one version over another, although perhaps I would rather have just the piano versions if I was made to choose at gunpoint.. I really like the "Barque" orchestration even though Ravel recalled it from his list of works. I think that the "waves" are created more effectively on a larger scale than the piano has. I love the horn rips (at the end), the wind machine, and the "church" bells (I assume they are tubular bells). It makes you wonder why Ravel didn't do this in the first place, though Kocsis uses a much larger orchestra than Ravel did in his orchestration of the four movements. I also have his orchestration of the fugue, but I was a little bit let down by this. Thanks for posting that Kocsis orchestration, it's marvelous! It makes you wonder why Ravel didn't do this in the first place, though Kocsis uses a much larger orchestra than Ravel did in his orchestration of the four movements. I also have his orchestration of the fugue, but I was a little bit let down by this. I'm not impressed with an orchestration that's so extravagant and over-the-top that it cuts into the purpose of a piece. Ravel's orchestration is exactly what he had in mind and I think he was successful with it's paired down forces. It gives the work a delicacy that matches the music's intent which was to honor his friends that died during WWI. I couldn't imagine this work being orchestrated any other way. But that's just my two cents. A good point; smaller forces would probably work better. This is true, though I still enjoy it greatly. I've always felt the toccata to be out of place in the piano suite, even though some of the themes (loosely) seem to come from the rigadon and prelude. Not that it is at all a lesser movement; just that it has a different "feel". Perhaps this is why he decided not to include it, though that still doesn't explain the fugue's omission. I will say this: as someone who is trying to learn the suite on piano, it is very very discouraging that the toccata is there because I have no chance of learning it in this lifetime. I'm working on the prelude and forlane for fun (even though I'm not very good at the piano) and it's annoying that I won't be able to learn the whole suite. Yes, I've read a couple of biographies and I recall a quote from him saying something like "I am not a great composer. Great composers work with quantity as well as quality." (paraphrased) and generally talking about how he had drained every ounce of creativity from himself, so to speak. One more Ravel piece that I totally forgot to mention is "Introduction and Allegro" for harp, flute, clarinet, and string quartet. It doesn't even sound like chamber music. It is so richly orchestrated that it almost sounds like a full orchestra playing at several times throughout the work. I have a background music playlist that I play while studying, reading, etc. By chance, Ligeti's "Melodien" (the only Ligeti on that playlist, haha) happened to precede the Ravel I&A and the transition is beautiful. The violin harmonics at the end of "Melodien" fade away -- then suddenly Ravel's lyrical flute/clarinet melody emerges. 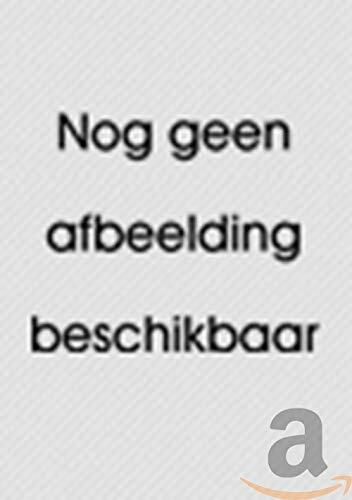 I can hardly listen to "Melodien" now without hearing both together! I agree with MI on Ozawa, probably because his were the first recordings I had of Ma mere and Le tombeau. Can anyone recommend a recording of L'enfant... that includes a libretto? The Maazel recording here. I don't know whether the separate issue has the libretto, though I would think it has. Ansermet's recording is very fine too, but again I don't know if it comes with the libretto.. The box set contains a damn libretto? That has to be the first and last time such a thing will happen! +1 Although mine is the original DG issue (on CD that is). I would think the double disc "Originals" reissue would have librettos, although that's solely based on another "Originals" reissue I have of a Handel opera which does include a libretto. Ansermet's recording is very fine too, but again I don't know if it comes with the libretto.. I like Ansermet, too. I would probably choose Maazel in a grunge match but they're both solid sets. (My Ansermet is a French import and has a French-only libretto :(). Listened to a couple of Ravel pieces championed by Ansermet and the OSR forces. Very dreamy and delicate throughout. I wonder if I would be able to distinguish Ravel from Debussy in a blind test? I must admit that I have not experienced the actual ballets apart from reading about them (a synopsis). I have been avoiding much of Ravel, Debussy and Stravinsky and now I am wondering why? Ansermet seems like a great gateway into this dreamy tonal world! Peter, perhaps you just weren't 'ready' for Ravel, Debussy, or Stravinsky? Of course, these were composers I took to very quickly and Ravel has remained in my top 5 for years. Do give Ravel's PCs and chamber works a listen at some point. Definitely some of my favorite music of any composer. Do give Ravel's PCs and chamber works a listen at some point. Definitely some of my favorite music of any composer. Yes! Not to mention the solo piano works. (I'm listening to Gaspard de la Nuit right now!). 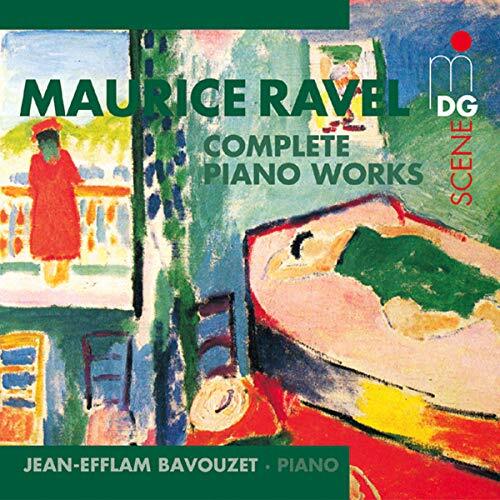 Ravel (along with Bartok) is easily my favorite solo piano composer. My favorite work by Ravel, though, is his Introduction and Allegro. It is like a miniature harp concerto accompanied by flute, clarinet, and string quartet. I'd give it a listen while you're at it -- it's only 10 minutes long. Everyone (myself included) seems to pair Debussy and Ravel. If you really think about it, though, they aren't all that similar (aside from their SQs, which do sound similar). A qualitative (and probably superficial) rule of thumb I go by is that Ravel tends to be "flashier". A more quantitative (or, at least more technical) rule of thumb I go by is that Ravel tends to be more concerned with classical forms. It's hard (and often a bad idea) to make generalizations about composers, but I would say that Debussy looks forward through a romantic lens whereas Ravel looks backward through a modern lens. There's not a work by Ravel that I haven't heard except for his Prix de Rome works. Introduction and Allegro is a beautiful work. Yes, I never understood the constant pairing with Debussy either. Both composers couldn't be more different. Composer Ned Rorem wrote an interesting passage where he compares composers who use short melodies and build upon them (Beethoven, Stravinsky) with those who write longer melodies (Mozart, Mahler). His list is extensive and in the case of Debussey/Ravel, the former uses shorter, additive themes while Ravel writes longer, "complete" themes. While I haven't made this comparison with all their works it sounds about right. Anyway, man, it seems like only yesterday that Luke and I had our last discussion regarding this very topic (only *ahem* "incidentally" touching on the Chuck Jones covers ;D. See earlier in the thread). That's when I learned of Luke's intense admiration for L'Enfant, with L'Heure apparently hard on its heels. Fair enough. I hope to never stand in the way of a man and his likes/dislikes when it comes to entertainment. Doesn't seem to serve any meaningful purpose (apparently not everyone agrees with this, however). Of course I've been known to get itchy to speak out occasionally when something I read on this board jolts me like a brick to the head (and it takes a lot with my hard head). One such brick: a provocative statement whereby L'Enfant is hoisted as hors concours in Ravel's output, with L'Heure number two. Well, a brick for me, anyway. ;D Not for Luke! Looking back I'd never have guessed that it was seven years ago that I first got whacked by that brick. Not that I haven't recovered! But more than anything else that day has never left my memory, since there isn't a single thing I dislike more than being left in the wake by those folks with a discerning enough nose to sniff out something worthwhile and I can't. But, unfortunately, just following someone else's lead doesn't always generate results. So that kinda leaves a person (like me) to using their (my) own nose in certain situations. And this is one such situation...unfortunately. I'd love it if the switch could be turned on for me in Ravel's operas but so far I can only generate a qualified "decent" when it comes to the question of what they mean to me. Not that I haven't tried. And tried. And tried. And to be honest, to invoke yet another ghost from GMG's past, our own long, lost Nigel Wilkinson - Mr. Opera Lover himself - actually had no use for these two operas at all! And that's putting it charitably! ;D (Yes, this is burned in my memory as well). (I've searched but can't as of yet locate his posts). Not that this is of any real substance in the current context but I only rehash it to illustrate that, as with a great many works of art, opinions can and do run the gamut. So, simply put, some adore these operas, some loathe them. I'm in the middle. So far. Don't feel bad, DD. I like L'enfant et les sortileges, but don't care much for 'the other one' (aka L'heure espagnole). :) We can't all enjoy the same things and if we occasionally run into someone else who likes the same work, then that's great of course, but it's not the end of the world because someone dislikes something that we like. Too often people seem to take someone's dislike to heart (I have been guilty of this in the past), but I don't worry about this much anymore. If something moves me, then that should be all that matters. 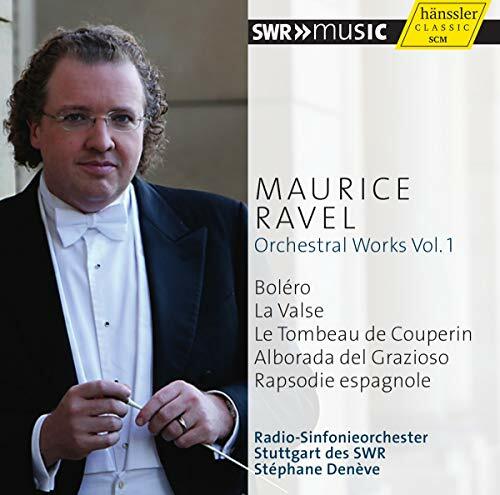 Larderet's Ravel is essential - mostly because it has the world premiere recording of a mature, major Ravel piano work. Why nobody had ever before recorded Ravel's transcription of three movements from Daphnis, when it's very-nearly-but-not-quite on the same level as Stravinsky's three movements from Petrushka, is a total mystery. It's 20 minutes long, you hardly ever miss the sound of the orchestra, and Larderet plays with great enthusiasm. Wow! I'm sure I've heard of this before - and that Larderet album art looks familiar. Here it is on YT, apparently played by Claire-Marie Le Guay. And also the Larderet arrangement's recording. PC for the left hand is really beautiful. Listening to it right now. The opening crescendo reminds me of Debussy. A year or two ago somebody created a poll asking what everyone's favorite solo cadenza was, and the first 2-3 replies were Ravel's PC for the left hand. Ravel's attention to the minuscule, transparency, present construction, texture!, is a noble standard to welcome back. I agree 100%. Many of Ravel's works can yield me dimishing returns, brilliant as they are, but there's something about the LH Concerto that sticks. Also, his SQ (imo) is unique in the genre for its lyricism. Been listening to Ansermet's Decca recording of 'Ma mere l'oye'. It is from 1951 but it is an excellent performance. The very opening notes brought to mind Vaughan Williams's 'A Pastoral Sumphony'. I think that Ravel had a great influence on the English composer who studied with him in his 30s (VW). Vaughan Williams said that Ravel taught him how to orchestrate in colour rather than line. Anyway Ansermet's 'Mother Goose Suite' is charming and I find the end moving. I love the story about Ravel (from here I think) that although he composed one of the greatest musical depictions of dawn in 'Daphnis and Chloe' (also on the double Ansermet Decca set) he never got out of bed before 11.00am. Ravel's sleep patterns were quite mixed up, I think. I'm not sure how accurate this is, but when I visited his marvellous house at Montfort l'Amaury I was told that he sometimes ended up sleeping late or into the day due to nocturnal insomnia - but that in his bedroom he had special shutters made with star-shaped holes cut into them so he could still deceive himself into thinking it was night... which doesn't really make sense, if you think about it. That was how the guide explained those shutters, anyway - but what they also demonstrate, as does so much else in that house, and of course so much in his music, is Ravel's love of the artificial, his preference for a screen from reality. Utterly fascinating anecdote, Luke. Thanks for sharing. My own thoughts: when Ravel removes the artificial, or the mask(s), if you will, we really get a glimpse of the man's beating heart IMHO and it never fails to move me deeply. Completely agree, and those mask-slipping moments you describe move me very deeply too. In fact I think that more than anything else they are the reason Ravel is so very special to me. Any feedback on any of these sets would be greatly appreciated. I'm not a diehard fan of solo piano music, but I do really enjoy Ravel's (and Debussy's). I don't know any of these. I can say I like Lortie's Liszt very much. 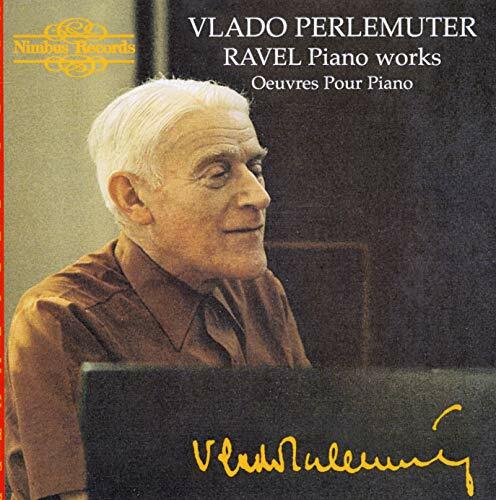 The name is Perlemuter, Vlado Perlemuter...preferably the later cycle on Nimbus than the Vox IMHO (even if the Vox has both piano concertos conducted by no less a legend than Jascha Horenstein--but in subpar sound IIRC). Can't help much I'm afraid. I have Pascal Roge. All I can tell you is that when there was a blind listening test on Gaspard, Steven Osborne did very well (and I personally rated him highly on the two movements I was involved in rating). Both Tharaud and Perlemuter got knocked out during the first round (on 'Ondine'). The notes I have suggest that Lortie and Hewitt weren't contestants. Roge wasn't either. Also, have you noticed that GMG'ers are getting rather excited about a new set by Bertrand Chamayou? Thanks for the feedback all, but I went ahead and bought Osborne's set as 1. I'm quite familiar with his pianism and 2. I decided that I wanted a non-Frenchman for my second, and probably last, cycle of Ravel's solo piano music just to hear a different approach. But I came in here to observe that the two chamber works I didn't already know - the Introduction and Allegro, and the Sonata for Violin and Cello, are both knockouts. Wow. I definitely need to get both of these in my collection soon. I'm liking a lot of the songs as well, and even the 1st opera (haven't got to the 2nd yet). I may well like opera when it's that short. Great anecdote about Ravel on 'This Week's Composer' on BBC Radio 3 today. At the Paris premiere of 'Bolero' a woman jumped up, pointed at Ravel and said 'He's mad!' When told about this Ravel gently smiled and said 'she truly understands the work'. This comment from 2008 inspired me to listen to this collection. I've sort of got my eye on that one, there's also some other versions of the songs I'm considering. I don't think enough attention gets paid to the songs of either Ravel or Debussy. 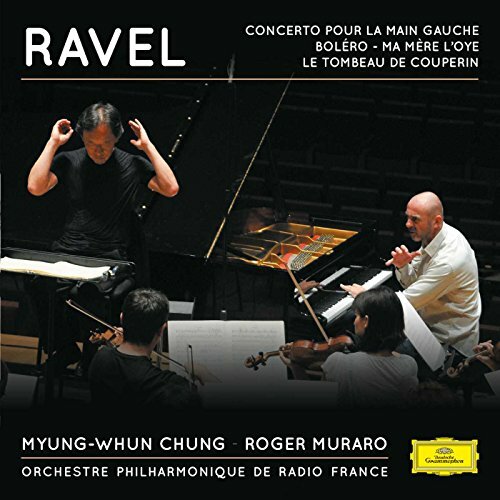 I had the earlier 2-CD set on EMI (https://www.amazon.com/Ravel-M%C3%A9lodies-Maurice/dp/B000006DEL) but heard good things about this one and wanted something newer. If Ravel is for you, and you don't already have much of this repertoire in your collection I think it is a safe buy. The EMI set is also very good. Happy 142nd Birthday to Ravel! 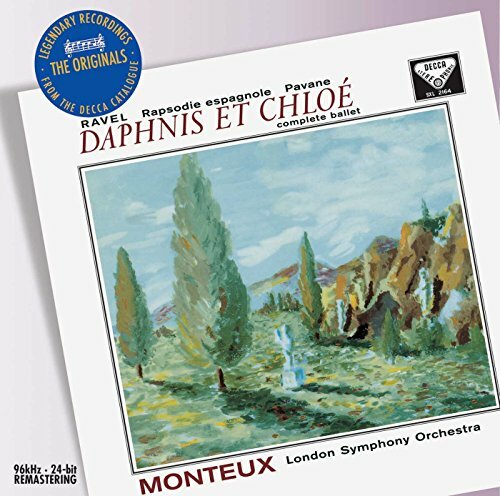 What is your favorite recording of Daphnis et Chloe? There are so many great performances but what is the greatest? I love James Levine/Boston Symphony. The new BIS recording with the Rottterdam Philharmonic/Yannick Nezet-Seguin is also perfection. Any others? I straddle between three favorites: Dutoit/MSO (Decca), Martinon/Orchestre de Paris (EMI), and Boulez/Berliners (DG). i just recently discovered the Piano Concerto for Left Hand. What a mind-blowingly work, pitting the left hand of the piano against a very large orchestra. I swear if you don't know the work and just listen to it you will never know it is for the left hand alone. The contrabasson solo at the beginning sounds like it is from some primordial bowel of the earth and not from a musical instrument. Anyway I rather like this performance here. Miss Wang's steely left fingers displaying some pyrotechnics ! Definitely I can't disagree with you, that is one of the Ravel's jewels, it's really a magic piece. The beginning it's somewhat dark, almost tenebrous, I'd say the fittest beginning for such terrific concerto. Yes both Samson François and Yuja Wang performances are awe inspiring. This CD of Yuja Wang is in my opinion her best: her Ravel style is surprizingly accurate. TD: Sherazade, a rarely performed Ravel work comes in two flavors: an orchestral overture and a song cycle with chamber orchestra. If you have a chance to listen to this song cycle it is a knockout. Ravel has composed many fantastic melodies. The chansons Madécasses is probably his best known cycle. I recently came accross his hebraic melodies (in Yiddish !) his Kaddish. Quite amazing pieces. I can only nod my head in agreement here, although I’ll add that the Trois poèmes de Stéphane Mallarmé is, perhaps IMHO, his greatest song cycle. The two Scheherazades are totally different works, aren't they? No musical material in common was my understanding. Nope ! The first Scheherazade did not meet the success Ravel expected for it. So four years later he reworked the piece in a song cycle with chamber orchestra. I did a quick comparison between the two and they do indeed sound pretty different, but the second version was directly inspired by the first. On thursday I will attend a concert where Felicity Lott will perform this work. I will report in due time. Well, Wikipedia says the connection is a matter of debate, with only one similar opening theme, and Roger Nichols' book flatly says twice that the song cycle is "entirely unrelated to the early Overture" despite some people saying that it is. So I'd be curious to know your sources for saying that it is an actual reworking or that one was inspired by the other (as opposed to both being inspired by an interest in the character). Just took me half an hour to work out who and what 'IS' and 'PT' are ::). Kind of agree with you but probably to do with over-familiarity with his music. I'm also a great admirer of Gaspard. I also like the ubiquitous 'Bolero' :o :o :o plus the PCs and Daphnis. Well, it was the 2 Piano Concertos that let me down this time. The Left-Hand has always been my favored, but this time, only the excellent introduction held me, all the way up until the piano entrance, then I was like... eh :-[. It just wasn't as Poeish as I had in my head- but, the introduction is sublime,- I'll have to try others (I have Thibaudet and Fleisher?). I've never liked the PC, and this time it felt really Uptown, high class nightclub of 1937, really smooth and luxurious- uptown and languid but not overtly jazzy, but yes,- still, I was feeling it was kind of fake feeling, too hip, and it definitely isn't what I was looking for (Milhaud and Martinu being somewhat less chic, and more enjoyable). But, yea, it's like 'Freebird', lol. To me that fake feeling typical of Ravel is precisely what I like. There he shows that it's much more complex... He's not trying to just being chic and somewhat failing at it (i.e., the result is not completely convincing from a musical point of view)... that actual feel is put there to disrupt... to show that very same superficiality... a frail soul inside, when outside it's all superficial, vacous... makes you feel even more alienated... but you are part of them... and sometimes you even enjoy it! Composition is the act of shaping the primal force of sound into a desired form, reducing it to a handful of configurations of a small set of its constituent parts; there is very little natural about it when a composer is through with it beyond the way the sound of the music itself moves through the air, but we have even built special rooms and devices for the purposes of controlling that too. The notion that Ravel's music is "artificial" while that of some other composer is not is completely baffling to me. It's just a vague metaphor. Based on Ravel's reaction and the usual discussion about this subject, I more or less tried to make more explicit what the detractors may be thinking when they use this metaphor and what is my perception of the aspect alluded by it. I was making a general point, which is why I didn't quote anyone. I know. I was just answering your general point by using material from my previous comment. I was just lazy to make it more neutral sounding, sorry about that. I agree that the introduction to the LHPC (payback time 8)) is my favourite bit in either PC. No need to apologise. Kind of odd that this is our first exchange in... a year at least? Ha, yeah, a bit awkward. Maybe more time. I have not been very much in the forums these last years since they have been difficult times for me. Nice to see you again, though! Yeah, well I will ruin Ravel for you if you don't ***** ***** because you'll ***** ***** back to the Xenakis thread this instant! I agree. It's Ravel at his most direct, urgent self. Yet his bittersweet harmonies and orchestrational brilliance still shine through. I'll take the first 5 minutes of that work over almost anything. "Signal rhythms coming from Andromeda Prime, Captain. Hailing frequencies open..."
"Captain, we're being forced to listen to 'Maggot Brain' via the Mothership Connection. Permission to load lactating HiggsBosom cannon!" I concur, he's my favorite post-baroque composer at the moment for some reason. You have truly seen the light! SO, HERE'S MY QUESTION: In the 'Blues' middle movement, there is a section where the violin plays these jaunty chords, and the piano just doesn't seem to be in the same... tempo,... or,... but,... I've listened to a couple of reliable sources, and I guess it's in the score, though I can't read it very well. I didn't know Daphnis et Chloé had a "Blues" middle movement...and I'm sure it doesn't call for a piano. Well, the Violin Sonata isn’t Ravel’s only masterpiece. To make the assertion that it is doesn’t seem like a fair judgment on your part. What about works like the String Quartet, Miroirs, Gaspard de la nuit, the Piano Trio, Le tombeau de Couperin, Jeux d’eau, L'enfant et les sortilèges, Chansons madécasses, the piano concerti, Daphnis et Chloé, or Shéhérazade? These works certainly more than hold up to the idea of a ‘masterpiece’. Oh and there’s nothing wrong with the Violin Sonata or the way it was constructed. That’s just your ears failing to make a connection. Has anyone seen this? It’s great! A video of Samson François talking about Ravel's music and playing Toccata from Le Tombeau de Couperin. I like him better and better: he christened his lorry Adélaïde. This week, we're throwing it back to an old favorite: a story about obsession, creativity, and a strange symmetry between a biologist and a composer that revolves around one famously repetitive piece of music. Anne Adams was a brilliant biologist. But when her son Alex was in a bad car accident, she decided to stay home to help him recover. And then, rather suddenly, she decided to quit science altogether and become a full-time artist. After that, her husband Robert Adams tells us, she just painted and painted and painted. First houses and buildings, then a series of paintings involving strawberries, and then ... "Bolero." At some point, Anne became obsessed with Maurice Ravel's famous composition and decided to put an elaborate visual rendition of the song to canvas. She called it "Unraveling Bolero." But at the time, she had no idea that both she and Ravel would themselves unravel shortly after their experiences with this odd piece of music. Arbie Orenstein tells us what happened to Ravel after he wrote "Bolero," and neurologist Bruce Miller helps us understand how, for both Anne and Ravel, "Bolero" might have been the first symptom of a deadly disease. I heard the same podcast this week. The comparison with the biologist is new, but speculations about the Bolero and dementia have surfaced before. One thing that seems to contradict the idea is the fact that the Piano Concerto for the left hand was written years after Bolero and isn't at all repetitive. The story about Ravel suffering from dementia while writing Boléro is BS and, quite frankly, unfounded. The composer even joked about Boléro before saying "I've written only one masterpiece—Boléro. Unfortunately, there’s no music in it.” :P This doesn’t seem like someone who suffers from dementia to me. He knew exactly what he was doing. This podcast claims that when Bolero premiered, someone in the audience yelled, “he’s crazy!” True or not, I burst out laughing from that. That’s pretty funny. Probably no one laughed at the time. Sound like a Seinfeld episode now. Early signs of dementia were noted as early as 1927, including aphasia, memory lapses (losing his place when performing familiar music), deterioration of writing. Even years later, when he was almost entirely disabled, he was said to have maintained his personality and self-awareness. No one could (or would) say that the Bolero was a symptom of dementia, but the idea that a neurological disorder could influence him to go in a different artistic direction is not without support. One symptom of frontotemporal dementia is that sufferers tend to be drawn to repetition. I don’t doubt that Ravel suffered from a neurological disorder, but I doubt this had any effect on Ravel's writing of Boléro as he wrote both piano concerti after Boléro. That’s what I was doubting. Also, after writing Boléro, there was the song cycle Don Quichotte à Dulcinée, which, again, shows no signs of someone suffering from a neurological disorder even though he very much was at this point (1933).